Every one of us can remember certain horror films that stayed with us long after we left the theater. Sometimes a movie just grabs you by the imagination and pops up again in your nightmares when you least expect it. Like when you’re walking on a dark, lonely street… or in bed at night, alone with your thoughts, when all it takes is a random strange noise and you’re checking to make sure nothing’s hanging over the side of the bed (because that’s where the monsters are)! You know, those movies that made you sleep with the lights on for a week? 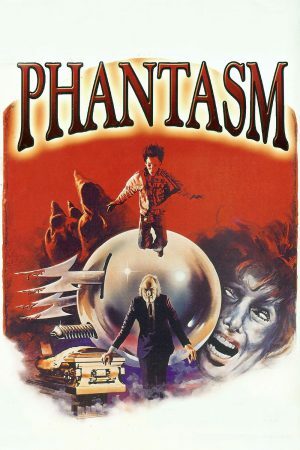 For me, one of those movies was Phantasm, a surreal low-budget horror movie that was released on March 28, 1979 – 40 years ago last week. 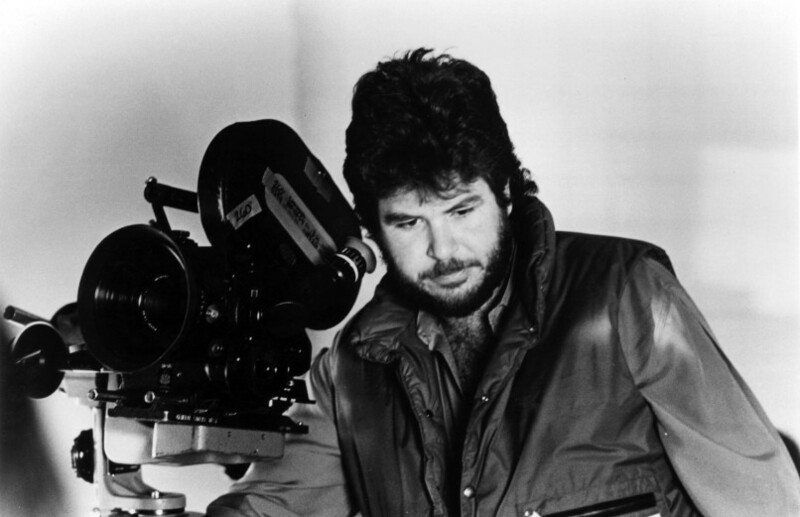 Don Coscarelli, the auteur behind Phantasm, is now considered one of the masters of the genre. 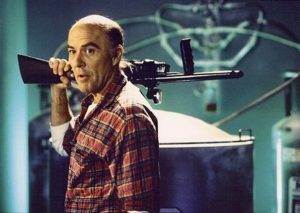 But at the time he wrote, directed, edited, and photographed Phantasm, he was just a newbie in his early 20s with a shoestring budget and a young and relatively inexperienced (but very enthusiastic) crew of film industry outsiders. Yet somehow Coscarelli and his cast and crew made a thoroughly original, creative, and unique little movie that deserves a place of honor in the Horror Movie Pantheon. Again, Phantasm can’t claim to have the greatest special effects… or the best acting or writing… or the best of anything else. 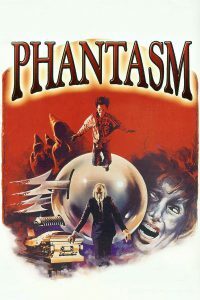 But Phantasm endures because few movies are able to so effectively create a mood of creeping dread – a mood that can be attributed at least in part to a certain iconic character… not to mention a particularly original gimmick designed to scare even the bravest soul. It’s hard to believe it’s been 40 years since we first encountered the The Tall Man – one of horror film’s most memorable and haunting villains, played by the formidable Angus Scrimm (who they say was actually a great guy in real life!). The Tall Man had a way of sending a chill up your spine just by appearing on camera. But the scariest part of the movie for me was the shiny silver orbs that could hunt you down through the marble halls of the mortuary and penetrate your skull with their sharp, hook-like blades! Well, with the passage of 40 years’ time, the film’s special effects aren’t all that special anymore, technically speaking. But damn if it still doesn’t creep me out every time I watch it (though it’s a bit dated, and I’ve seen it multiple times). There’s something profoundly weird and creepy about its dreamlike quality, especially the scenes in the cemetery and inside the mortuary. The plot will sound familiar to anyone who’s seen a lot of 70s and 80s horror movies – the bad guys would have gotten away with it if it weren’t for those MEDDLING KIDS! In other words, teenagers who stumble onto dark and dangerous secrets… and when they go to their parents or other grownups for help, NO ONE BELIEVES THEM! So it’s up to the plucky (or crazy, because I wouldn’t go anywhere near this business) teen or teens to solve the mystery. 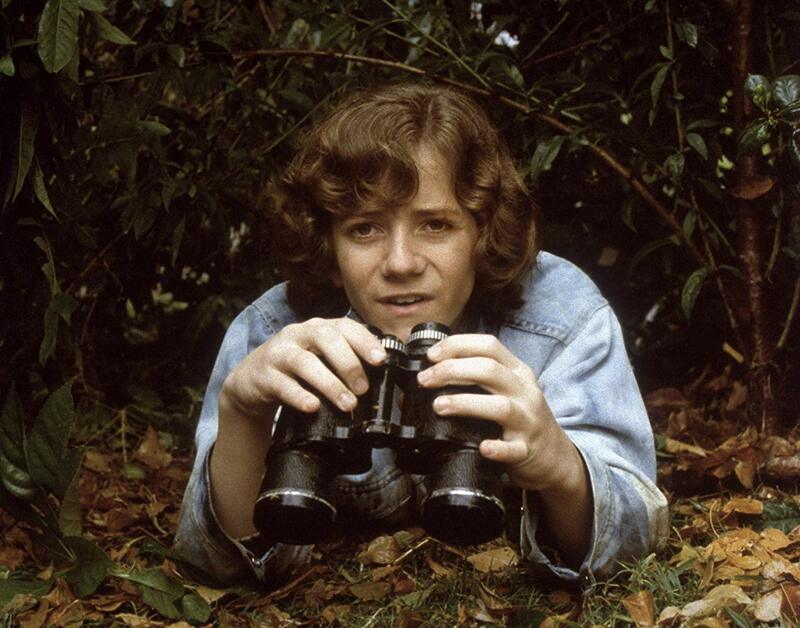 The Meddling Kid in Phantasm is Mike, an orphaned teenager who lives with his older brother. When one of his brother’s friends dies under mysterious circumstances, Mike tags along to the funeral, where he happens to notice the funeral home proprietor singlehandedly lifting and carrying away the coffin after it was supposed to have been buried. Again, as teenagers are likely to do in movies like this, Mike decides to investigate the strange goings-on at the Morningside Mortuary, which – as we also know from other movies like this – is never a good idea. What could “The Tall Man” be up to? This bad guy is indeed quite tall and looks much like a cadaver himself. Yet despite the fact that The Tall Man is one of the creepiest individuals you could ever hope to lay eyes on, Mike continues to spy on him and even gets inside the mortuary… another very bad decision! To his horror, Mike encounters a nightmarish haunted world behind the walls of the funeral home, with bizarre dwarf-like creatures (vaguely resembling the Jawas of Star Wars) who protect the secrets within. In particular, he has to avoid the movie’s signature effect – one of the greatest horror movie gimmicks ever – the flying silver killer spheres. Mike and his brother, assisted by Reggie, intrepid ice-cream vendor turned hero (played by beloved horror character actor Reggie Bannister – AKA The Hardest Working Man in the Horror Business), must put a stop to the Tall Man’s diabolical scheme while evading the murderous dwarfs and lethal flying silver orbs… not to mention The Tall Man himself! 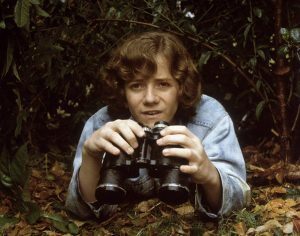 The acting and effects leave something to be desired, but no more so than its low-budget contemporaries from that era. Really, it’s quite impressive what Coscarelli was able to put together considering his relative youth and inexperience as well as pulling it off for $300,000. 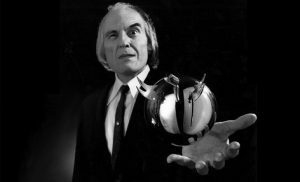 Unlike some Hollywood blockbusters with multi-million dollar budgets that can barely raise a single goosebump, Phantasm has a way of piercing your skull and getting right into your brain. Which goes to show, it’s not necessarily a big budget or dazzling effects that make a horror movie a true classic.